This is Jaide and Sofia, and we’re here to help guide you through this process of beginning or reinventing an Interact Club at your school or within your community! As high school seniors, we understand the variety of complex rules and guidelines that many schools have adopted regarding beginning new clubs on campus. However, this guide, brought to you by your very own District Outreach team, has broken down the club-starting process step-by-step! We encourage you to take this opportunity to join other service-oriented, passionate youth in the San Francisco Bay Area, and manifest change in our local and global communities! We are excited for you to become part of Interact District 5170, home of over 7,000 Interactors belonging to over one hundred Interact clubs! Starting will be challenging, but we know you find it worth your while. It is people like you who prove that even as teenagers, we have the power to cultivate worldwide change – so let’s get started! We are excited for you to join us this year in remembering our roots in service. Interact is the teen branch of Rotary International, open to students aged 12-18. Interactors focus on promoting international understanding as well as gaining leadership skills and personal integrity. While doing this, they also collaborate with Rotarians, Rotaractors, middle school Interactors, and other Interactors in order to make a positive impact on the world. What is Interact 5170? We are the largest and most effective Interact District in the world. With over 6,000 members from over 100 clubs spanning 4 counties (Santa Clara, Santa Cruz, San Benito, and Alameda), Interact 5170, over the past five years, has been able to raise over $550,000 towards its international projects (The Answer is the Sun, Home Sweet Home, Hello My Name Is, Me The Human, The Right to Thrive) as well as contribute over 299,000 hours of service in our local communities. We, Interact 5170, are to look back on what has shaped us, remember not only why we have joined but why we have stayed, bound together through cycles of service and love. 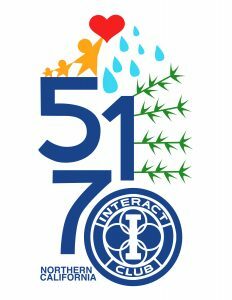 This year we will empower the world, seek a vision for our community, and reflect on ourselves–Remember Your Roots (2018-2019 Interact 5170 Theme). Interact 5170 unifies the 100+ clubs in our district with a Theme and Goals adopted by a 27-member student District Council. 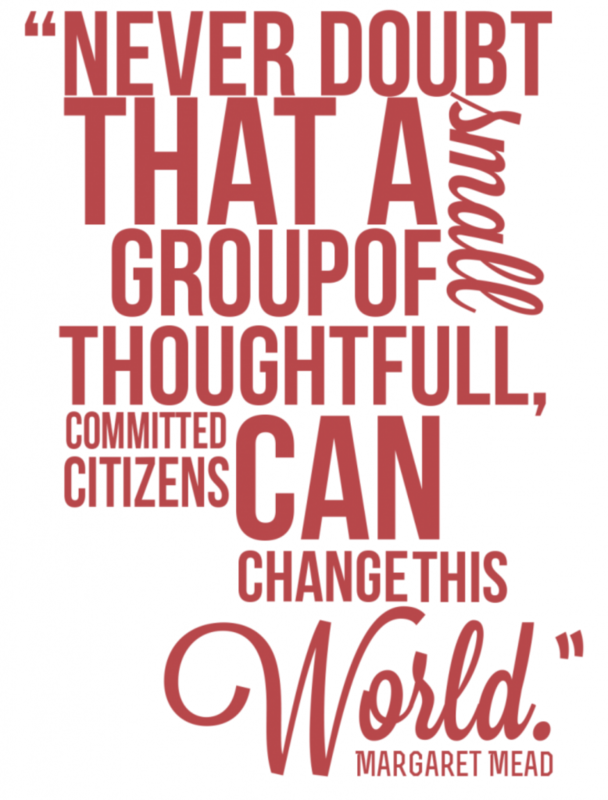 To empower locally, in our community and Interact clubs, and to inspire globally, through International and Community projects, to create action. We urge you to inspire and empower. Open that community to the world around you, and find the drive to empower globally. Take an interest in supporting every and all citizens of the world. Remember the why. We urge you to find your purpose through service. Service allows you to see that you are not defined by an identity or numbers or jobs, but by ability and compassion and connection. It’s so much more than showing up to service events- it’s the proactive attempt to make a positive impact on our world. Our stories are who we are. As past DC, past advisors, and past Interactors, we urge you to share your story. You’ve been through unique experiences that make each and every one of you different. Unique. Each of you do something, have a rich history of success and learning experiences, that everybody is free to share about today. And tomorrow, and for the rest of the year! Why start an Interact club? Interactors learn the importance of serving their local and global communities and developing strong leadership qualities and time management skills. Interactors make lifelong friendships and aspire to inspire those around them. Interactors have opportunities to hone their leadership skills, develop a passion for community service, and partake in a wide range of events, such as our large-scale district event, the Fall Leadership Conference, in which Interactors from across the district come together and take away essential leadership experiences through keynote speakers, workshops, and a hands-on service project. Make sure the school administration approves of a service club, and that there isn’t an inactive Interact club already in your school that needs to be revived. Interact clubs must comply with all California Associated Student Body rules and regulations. Complete the Club Certification form found here: https://my.rotary.org/document/904 and adopt and fill out the Interact Club Constitution (https://tinyurl.com/656constitution) and By-Laws (https://tinyurl.com/657bylaws). Elect club officers to prepare and sign a resolution adopting the constitution and by-laws found here: https://tinyurl.com/yclxgqcg You must complete and submit these documents for Rotary International to certify a club. Have your school advisor assemble the documents and deliver them to your Rotary advisor. If everything is in order, the Rotary Club President will sign the Certification form and send them to [email protected]. The Outreach team will send it to the Interact Chair who in turn will send them to the Rotary District Governor for signature and submission to Rotary International. Once certified by Rotary International, a Certificate will be sent to the Rotary District Governor who will send your sponsoring Rotary Club President. The Certificate will be presented to your Interact Club. While you are forming your club, you likely will already have been assigned and worked with your Interact 5170 District Council Area Director. Contact [email protected] to inform them of your certification and to confirm you are participating in Area meetings and events. Search for students in your school that strive to make a difference in their community as well as internationally. Forms of recruitment can be through fundraisers, booths at club day, school announcements, freshman orientation, etc. (use your imagination!) Officers should be members who are willing and eager to go above and beyond in the club, and are searching for more responsibility and leadership. Officers and members should serve with the same passion and dedication to the club. Interact 5170 District Council offers many templates and tools to help you organize and promote your club. Check with your Area Director to locate these resources. 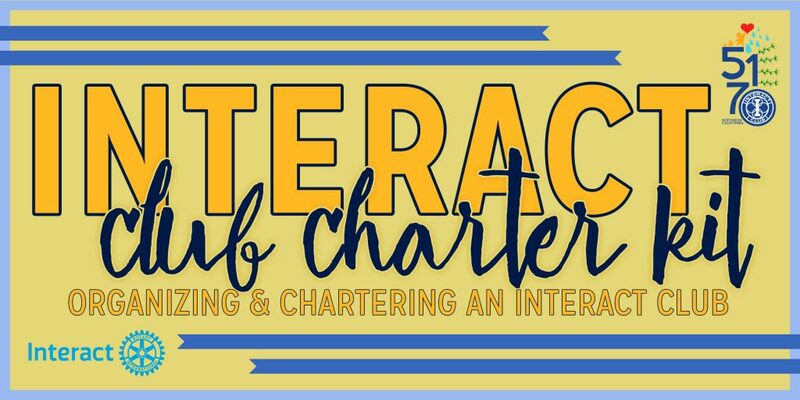 You are an officially chartered Interact Club in our District and you also now have a team! This is a big deal and you should be proud to have taken the very first step to strengthening the values of service in your community and school. This is where your story begins, so throw a kickoff event to celebrate! Consult your Rotary/faculty advisor(s) and District Council to help you create an officer application. Think about the qualities you want in your future team. After finalizing your officer application, publicize and distribute these to the club. Set the submission date for roughly 1-2 weeks after distribution. Once you have received and read through all applications, form general interview questions as well as specific ones tailored to each applicant. These questions should allow you to gain a more introspective view of each applicant. Review the applications and screen out those you feel are not the correct match for the position or those you feel did not adequately complete the application. Depending on the number of potential officers, interviews should be scheduled within a reasonable amount of time, and can be conducted by either the new presidents or the previous officer team. When selecting board and office, please make your best effort to be fair and unbiased. Why do you want to be on the Interact board? What are 3 important qualities that you have that you think will help as an officer? What does your schedule look like next year? If you were to become an officer, where would Interact be ranked among your other priorities? How will you balance Interact and other priorities? What are some skills you would like to learn or improve upon? Why? What do you want to change about your community? When first starting, your club may only be 10 people strong – in which case, having 8 officers would be silly! Therefore, you should talk to your advisors and Area Director about which positions (create new ones if you wish) would be the most beneficial to your club. Runs weekly meetings at school. Communicates with officers, board members, the Area Director, and advisors to plan big events. Attends area meetings and communicates area events and information to the club. Acts as a liaison between school club and District Council, in terms of reporting community service hours, and reporting fundraised money. Ensures the club is run in an upbeat, effective, and cooperative manner. Exemplifies what Interact Club stands for. Larger clubs may have a President and Vice-Presidents or Co. Keeps track of all hours completed by the members of the club. Takes notes at all meetings and later sends them to the President and other officers. Writes the general meeting agendas in coordination with the President. Larger clubs may have two or more secretaries, depending on the work load. Keeps track of all club funds. Knows what the running balance of the club’s account is. Collects, deposits, reimburses, and withdraws money for club purposes. Helps set S.M.A.R.T. (Specific, Measureable, Attainable, Relevant, Timely) goals for fundraising within the club. Is tech savvy (especially with computers and graphic design). Responsibilities include, but are not limited to: designing posters/flyers, daily morning announcements, club website updates, designing awards/certificates, etc. Attends most events in order to take pictures. If needed, updates the school’s club website by uploading pictures of events. Sends photos and descriptions of events to the Area Director for publications in district newsletter and on the district site. The duties of an Interact Events Coordinator include, but are not limited to: looking for local community service/fundraising events for the school to participate in, assigning roles and responsibilities for event management, working with the President and Area Director to plan future events, and collaborating with the club in order to ensure maximum attendance at district and area events. Starts Interact Clubs at middle schools in the area, serves as a liaison between the middle school Interact Club and the high school club, gives guidance and helps middle school Interactors with any of their needs, and encourages the middle school Interact members to join Interact when they are in high school. Mainly for larger clubs (for example a club of 300 members will need about 20+ board members and a club of 150+ will need about 10+ board members). Responsibilities are not as heavy as an officer’s duties, but they are still part of the Interact leadership team and experience. A board member’s duty is to find and lead volunteer events. Attends general meetings, board meetings, and area meetings. Trash Pick Up; 3-4 people in groups; Interactors will be split up into groups with an Officer in each group. They will then walk around a part of their neighborhood searching for litter and picking it up as they go. Light The Night/Aids Walk; 10-20+ people; Inspirational walks that fundraises towards the research against terminal illness like AIDS and leukemia. Interactors usually form a team online and walk as a group. Capes for Kids; 5-10+ people; Interactors purchase felt like material and begin cutting out capes. You are free to design the capes however way you want. The purpose of this event is to create capes with inspirational messages in order to donate to hospitals with children that have terminal illnesses to let them know that they are our true heroes. Book Drives; 10+ people; Books of all kinds, there’s a use for them all. Hold a drive to collect gently used books in your school district’s elementary, middle, and/or high schools. Distribute the books to libraries or orphanages. Allowing literature to be available to the children in your area will open new opportunities! Random Acts of Kindness; 5+ people; Bring all your Officers together and gather materials like post-its, posters, and clothespins. On these materials, write genuine compliments on one side and “Pass It On” on another. This will create a ripple of smiles in your community and positive influence throughout this event. Holiday of Hope; 30+ people; Holiday of Hope: a 3-part event where students assemble care packages from a necessities/money drive that are given directly to the homeless in your area. Using the donations from the drive, purchase supplies and necessities. Create hand-made cards. Put everything together into care packages. Try to target the safer locations, and make sure you are being alert and thinking everything through carefully. Make sure you know where you are going and your way around your location. With leftover care packages, find a nearby homeless shelter you can give everything to. They will gladly accept everything on the spot. Service Core; As many as possible; Service Cores is not just one project, it is a series of projects developed by the minds of passionate individuals. Interact Officers & members work together to spread service and better connect the club with the community. Members who end up being selected work as a team with the area director or officers to plan service events throughout the year. In joining a committee that allows them to create and lead events, members are inspired to be better leaders in the world. Marathon Events; 10+ people; There are many marathons happening around your area right now! All you have to do is search for it. These events may be difficult to organize, but when the ball gets rolling, so does the fun! This is a very interactive event for members to communicating with adults, children, and peers. Talk with school administrators to ask for permission to start up your Interact club. Look for teachers who are willing to advise the club. Select the best-fitting teacher — one that is both enthusiastic about Interact and has a schedule that enables you to use their classroom for meetings. Recruit a team of reliable and passionate officers to help your club flourish. Publicize the positions that need to be filled. Make and distribute officer applications, and set a deadline for 1-2 weeks after distribution. Review all applications to make a list of questions for interviews, and screen out those who don’t fit the position’s qualifications. Schedule and hold interviews with the remaining applicants. Make your final decision in a fair, unbiased manner. Keep the success of your club in mind! Contact the Outreach Coordinators ([email protected]) to find a Rotary club to sponsor your Interact club. Have your school advisor sign the paperwork. Have your Rotary advisor sign and send the paperwork. Create a calendar with events that you would like to hold throughout the year. Consult your officer team and faculty advisor. Have a meeting with your officer team, faculty advisor, and Rotary advisor to solidify these plans to have a set outline for your club. Congratulations! Your club is chartered! Have a kickoff event to start your club off on a good note and to celebrate the chartering of your club! Thank you again for your interest in establishing an Interact club. We look forward to helping you! Please remember that while Interact is about leadership and service, it is also lots of fun. District Council members are here to support and work for you and your club, so please don’t hesitate to ask us for help and advice! For any questions about the contents of this Kit, please contact the Outreach Coordinators at [email protected].